Now that we’ve more or less caught up on what Seren’s old companions are up to at the moment, it’s time to look at the larger situation a bit more. Here’s your first look at the kinds of things Seren will have to deal with in Volume 2. Things are going to be a bit more…complicated for her. 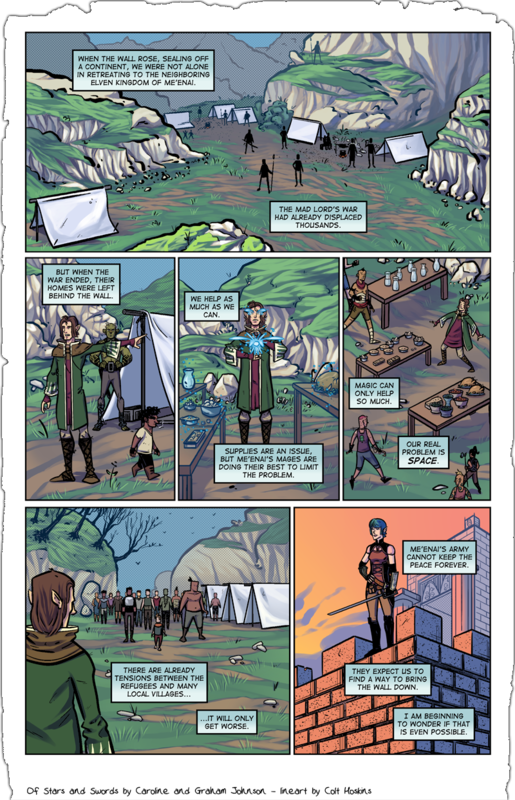 Today’s page comes to you with lineart from our friend Colt Hoskins and colors by Caroline. Colt’s working on quite a lot of little comics that you can find on his site here. He’s on Tumblr and Twitter as well, so go follow him! This won’t be the last you see of Colt doing something with Caroline and myself, either. There’s a short scifi comic coming next year that he did some great art for and it’s just waiting on finished colors before we figure out how we want to release it! A couple other things about this page. We’ve got a returning character! The central mage is someone we’ve seen threatened by Seren before, and also happens to look eerily similar to a certain Gustav Carlson that provided art for the first of these guest pages. Interesting little coincidence, isn’t it? Next up is something very special. Just last week, the amazing Abby Howard was kind enough to do a ton of free drawings for people for Christmas and one of the many she drew was Seren for us. 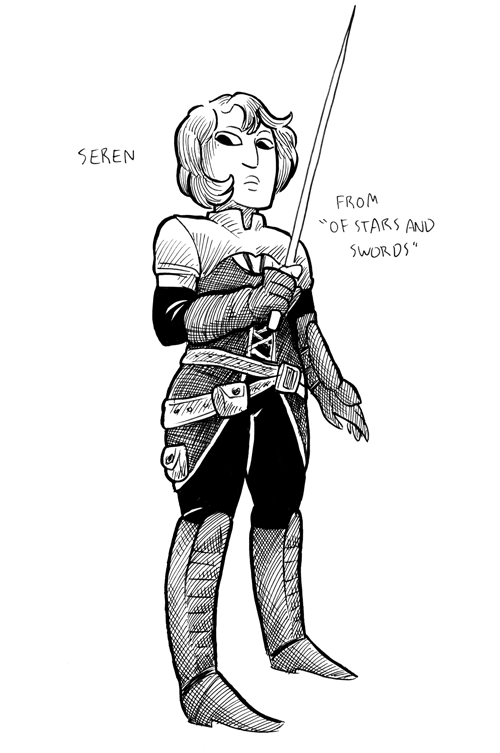 So here’s Abby’s take on Seren! Please go read Abby’s comics, Junior Scientist Power Hour and The Last Halloween. They’re both really great for entirely different reasons. She’s also on Patreon so go throw her some support if you can! We really can’t thank her enough for this! Next week comes another great guest page! Until then, as always, you can get Vol 1 on Comixology for $9.99 and we hope you’re enjoying these awesome guest pages everyone was kind enough to do for us!